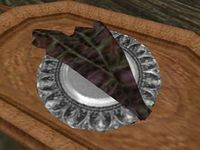 "Scathecraw is the soft inner flesh of long, tough reddish grasses growing in the thermal ash regions of the Ashlands, Molag Amur, and Red Mountain." 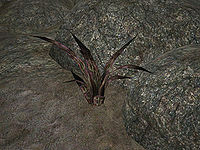 Scathecraw is mostly found growing in the Ashlands and surrounding dryer regions. This page was last modified on 29 January 2019, at 08:10.